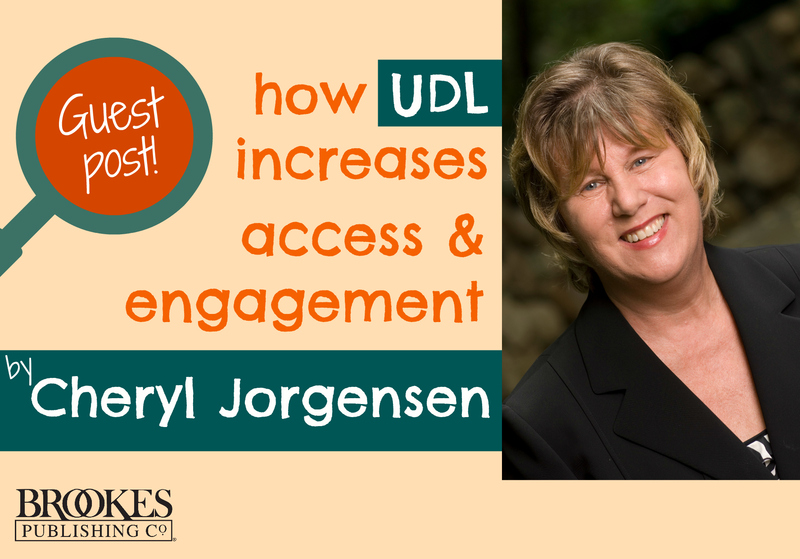 I’m pleased to welcome a special guest to the Inclusion Lab today: Cheryl Jorgensen, Ph.D., inclusion expert and author of The Beyond Access Model and The Inclusion Facilitator’s Guide. Cheryl’s here to share the story of a high-school teacher who used universal design principles to make her lessons more engaging and accessible for all her students. Read on, and get some practical tips you can use in your own lesson planning! Two cornerstone practices in inclusive education are making instructional materials accessible and making classroom lessons engaging. Here’s how one tenth-grade teacher accomplished both goals while planning and delivering a unit about social justice anchored in the novel To Kill a Mockingbird (Lee, 1960). Her class was diverse and included students who routinely got As, students who typically were not attentive in class, and one student who had complex support needs. The majority of her planning work for this unit was done even before the students began reading, using the principles of universal design. To make the book accessible to every student in her class, the teacher had all students install a free app called Natural Reader (Natural Soft Limited, 2015) onto their iPads or iPhones. This helped her whole class supplement the read-alouds they did during class time with out-of-class preview and review when they were riding the bus or studying at home. She provided students with free chapter summaries on the SparkNotes website. Step 1: Create a file with images that relate to the book. You can find these by searching Google Images or using a symbol set like Boardmaker Picture Communication Symbols. Copy and paste the images into a Word document. Do this prior to every unit of study or book that will be the subject of lessons for an extended period of time (e.g., solar system, water cycle, Civil War, or Romeo and Juliet), as you’ll need them for making the book and creating visual supports like aided language/topic boards, vocabulary activities, and adapted writing templates. Save the Word images document in a file called “[unit or book name] images” for now. Because rewriting from scratch–going through every page of every chapter and writing summaries–takes a lot of time, there are two free online tools that make the task more efficient. Find a chapter summary on the Spark Notes or Schmoop website and cut and paste it into a new Word document. If the chapter summary looks like it will work for your student, go on to Step 3. If you need to reduce the amount of text further, use a free online text summarizer like Auto Summarize (Tools 4 Noobs, 2016). If you need to reduce the reading level of the text, use Rewordify (Rewordify.com, n.d.). The Snap&Read Universal app (Don Johnston, n.d.) allows you or the student to do dynamic text leveling and reduce the difficulty of the text even further than Rewordify. Step 3. Adapt the visual look of the adapted text by creating more white space between letters, words, or lines; customizing the font; or manipulating the color of the font and background. Be sure to create extra line spaces in the document to insert pictures above the words the student doesn’t know. It’s important to know that the purpose of this adapted version is to promote participation in buddy reading, read-alouds, and comprehension, not to teach decoding of individual words. Step 4: Copy and paste the images above the words that you want to enhance with visual support. You may need to change the spacing of the words in the text to accommodate the pictures. Step 5: Print the book in color, slip the pages into clear transparencies, and insert them into a 3-ring binder. Make a cover for the book and insert it into the clear pocket on the front of the binder. Alternatively you can leave the book in digital form and activate a text-to-speech reader to support the student’s listening comprehension. Step 6: Create laminated topic boards for the book to support receptive understanding during classroom read-alouds and discussion. This strategy is a variation of aided language stimulation for augmentative communication (AAC). Even if your student doesn’t use AAC, it may be an effective strategy to promote learning vocabulary and comprehension. This modified version helped the student with complex support needs understand and engage with To Kill a Mockingbird. The student also benefitted from listening to the book and watching a slide show that the teacher found on the internet. The teacher knew it was critical for all her students to be engaged in learning, and that the traditional whole-class “read aloud and discuss” format would not meet many of their needs. So she thought about how universal design principles could help increase engagement for all. She began the unit by having all students watch the To Kill a Mockingbird movie. Often, teachers wait until the end of the unit to show a film, but she felt that a better way to engage the students with the story would be to show it at the beginning. She then found a variety of fun learning activities related to the book on a Wiki called Front Page. She had students work in small cooperative groups for most of every class period, and they did activities like making vocabulary flash cards, listening to and discussing songs from the Mockingbird and civil rights eras, creating infographics, and doing a comprehensive character study. Each group was encouraged to create their character study in narrative form, through a PowerPoint presentation, or by using the Explain Everything app. The teacher knew she wouldn’t be able to meet every student’s learning style in every single lesson, but the diverse activities increased the engagement of her whole class and offered students many different ways to interact with To Kill a Mockingbird. Making learning fun and accessible for every student in a class requires creative solutions that go beyond after-the-fact retrofitting and collaboration between general and special educators. Meeting the needs of all learners requires upfront planning using principles of universal design. It takes some work and careful thought about the range of diverse needs in your classroom–but the payoffs are greater engagement and learning for every student. Lee, H. (1960). To Kill a Mockingbird. Philadelphia, PA: Lippincott. Natural Soft Limited (2015). Natural Reader. Richmond, BC, Canada: Authors. Pakula, A. (Producer), &  Mulligan, R. (Director).(1962). To Kill a Mockingbird [Motion Picture]. United States: Universal International Pictures. Schuster, J. & Erickson, K. (2014). Text complexity in the Dynamic Learning Mapsâ„¢ Alternate Assessment System (White Paper No. 14 -01). Lawrence, KS: University of Kansas Center for Educational Testing and Evaluation. 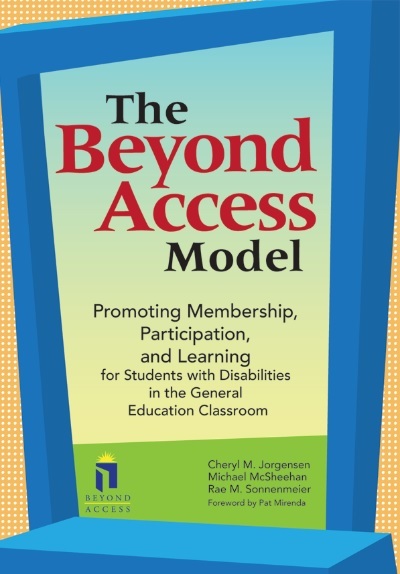 The Beyond Access Model. Discover a practical, groundbreaking inclusion model–and get the guidance you need to put it into practice in your school. 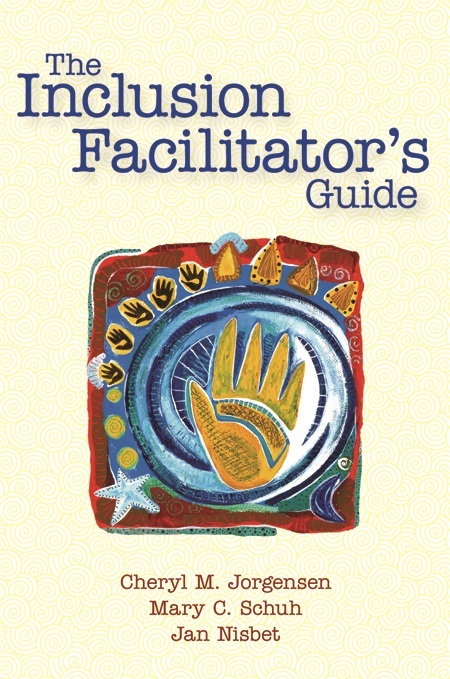 The Inclusion Facilitator’s Guide. Learn how to guide your school in overcoming the challenges of full inclusion. Includes promising practices for improving 10 key elements of inclusion.